So you don’t want to any one see your browsing and search history for whatever reason you have! 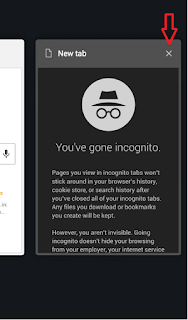 ok fine, the best and easiest way to browse privately is chrome browser’s Incognito Mode, this mode will not save your browsing history, cookies and search history, when you closed this tab everything will be remove. 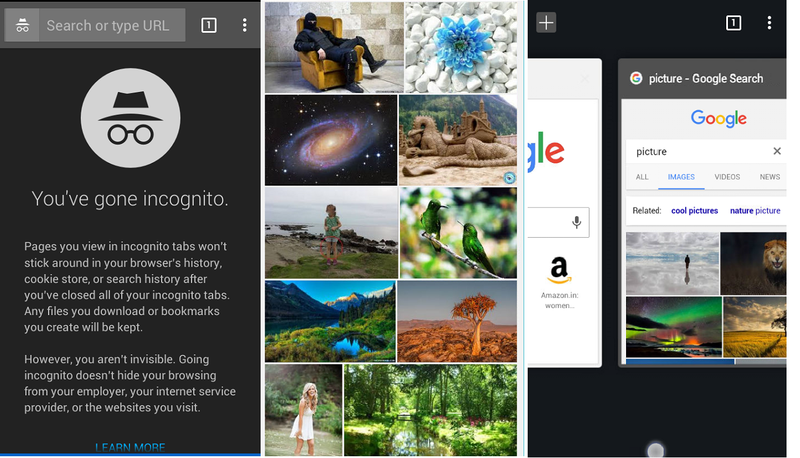 Follow these steps for safe browsing in chrome browser. 1. 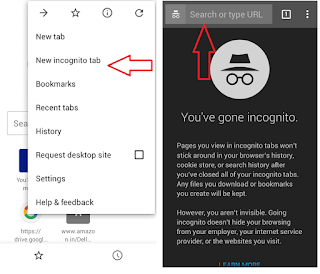 Open chrome browser tap on dot line and tap on “New Incognito Mode” the new tab will open, now you can browser anything from this tab nothing will safe anywhere except downloads and bookmarks. 2. 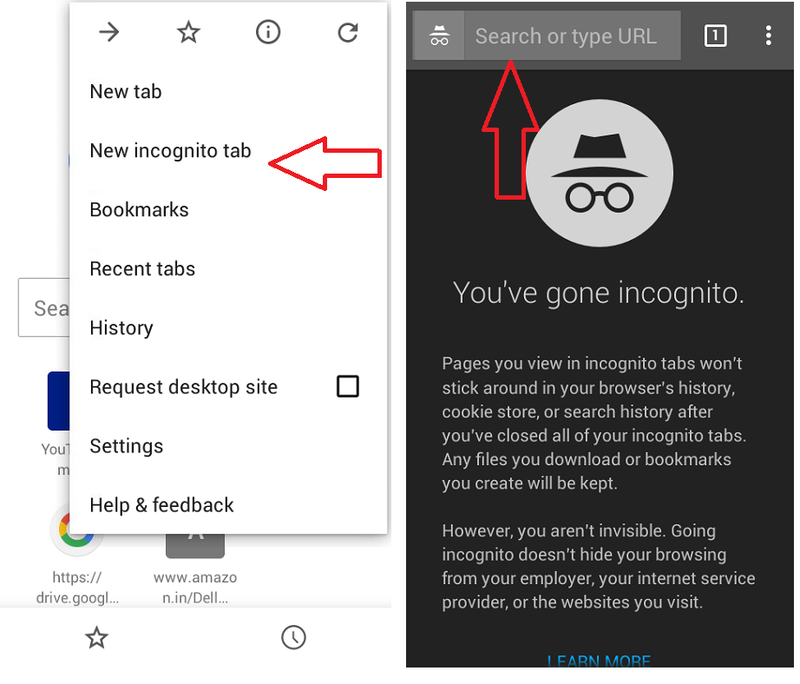 To close this Incognito tab don’t just click on back, to close properly hold and drag the tab from up side to down and now close the tab, as shown in below picture.